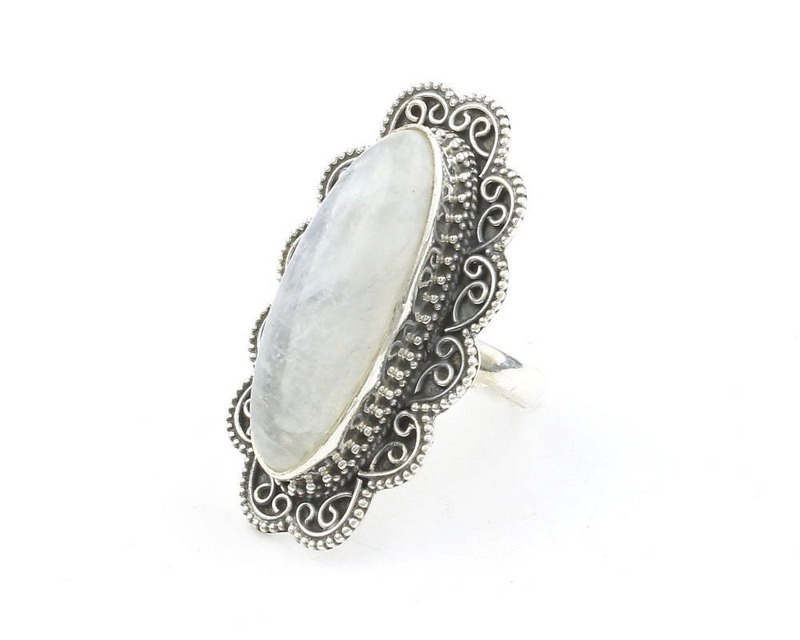 Stunning large Moonstone stone circled by ornate sterling silver setting. The colors of this amazing mystic stone are displayed so beautifully in a stone of this size. The piece looks like it could easily be 90+ dollars. Perfect for a middle or pointer finger. 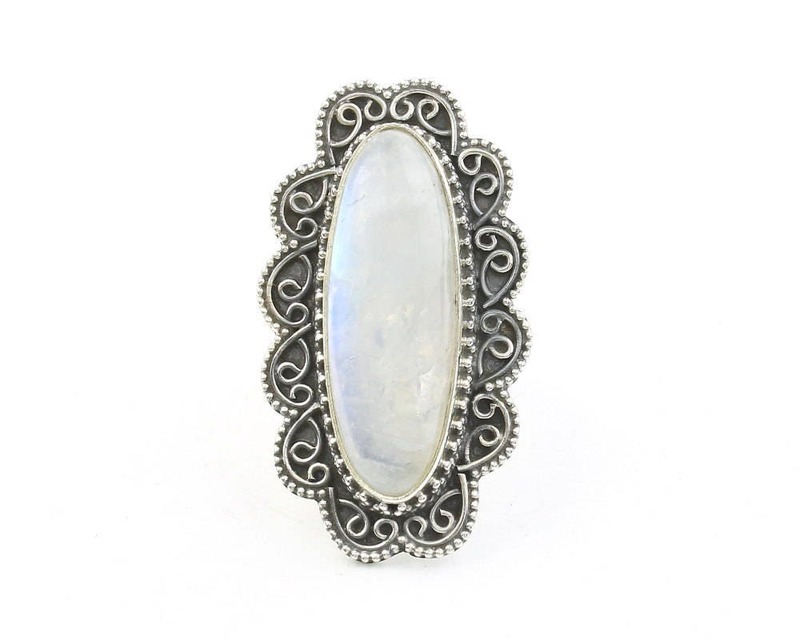 Great detailing around the moonstone, and the moonstone has a great shape so it’s not just any old moonstone ring. Really nice ring. Love wearing it. Beautiful ring and great size for my hands - I will enjoy wearing it! Thank you!